Today is a sick day—well, sort of. 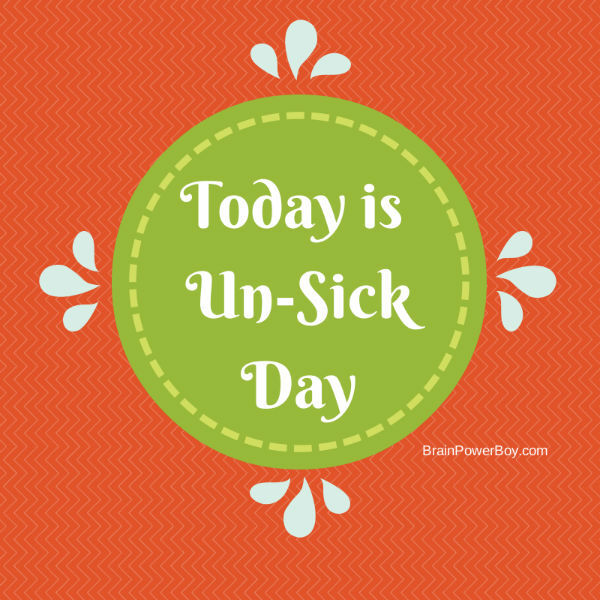 Actually it is Un-Sick Day. The other day my son was talking about how sick days would be really fun except for the fact that you where are sick. So today is Un-Sick Day. We are going to do all the little things that one can do when they are too sick to get out of bed. Everything is wiped off the schedule. No cleaning, nothing that must be done . . . the to-do list is hitting the dust. There will be lots of TLC and special time together. We might watch a dvd and there will definitely be reading involved. The goal is to kick back and take it easy. We are planning nice, easy to prepare, meals and a slow, relaxed day. There will be quiet time for thinking and some nice discussions as well because we will have the time. Sounds like a luxury doesn’t it? But really, making time for thinking and discussions is something we try to do on a regular basis. Today will be a little different because we will have all day in which to do them. This is a really great thing to do with boys. Give them some love and kindness. Let them decide what their un-sick day will be like. What would they do if they could do anything they wanted to? Spend the whole day together enjoying each other’s company. Learning sometimes needs these down times and everyone can use a break. I believe that a lot of learning happens in the down times. In the time when you actually have a moment to think about something you read, heard, saw or experienced. This is the time when connections can be made. When you start to piece things together and more and more of the information you have taken in makes sense and creates new thoughts. 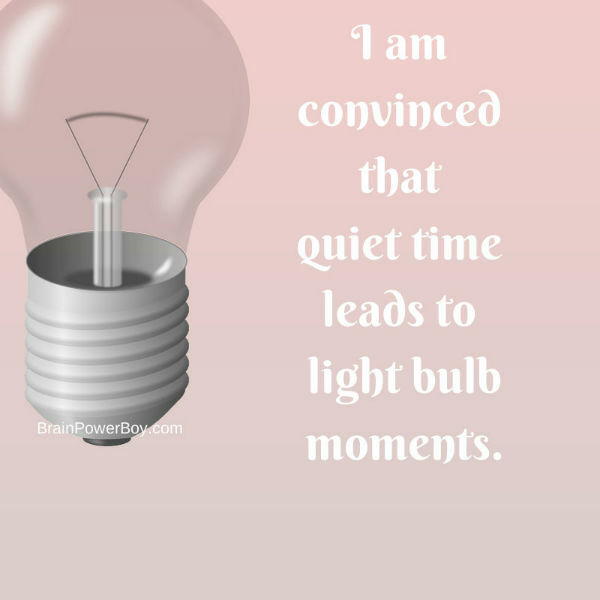 I am convinced that quiet time leads to light bulb moments. If you are saying you can’t do this because there is way too much to do and you will get behind. You can’t miss a certain activity, or you can’t keep him home (if he is in school,) and you can’t possibly take time off of work to do this. Well, I would do it anyway. You actually can set “I can’t” aside along with “I shouldn’t” and make a choice to go with “I can” and “I should.” I would find a time to do this because it will be great for both of you. If you must, plan ahead for it. If you have more than one child you can decide if you would rather do a un-sick day together as a family or if each one of your kids should have his or her own special day. Your boy is going to remember that you let him have un-sick days when he wasn’t sick! Believe me, he will remember it fondly.